Part gothic fairytale and part chilling horror, director Justin P. Lange's debut feature THE DARK balances rich imagery with a brutal and bloody story of unlikely kindred spirits who must defend themselves against the villainous powers of the 'normal' world. "Reminded me of the best of Guillermo del Toro. " On the outskirts of a small town lies Devil's Den, a mysterious tract of woods where many have entered but no one has ever left. The local rumor is that the spirit of a young girl who was horrifically murdered there haunts and hunts in this dense forest, brutally slaying anyone who dares to step into her terrain. When a man with a dark past crosses her path, a series of events are set in motion that may lead to a peculiar kind of redemption for two tragically tortured souls. 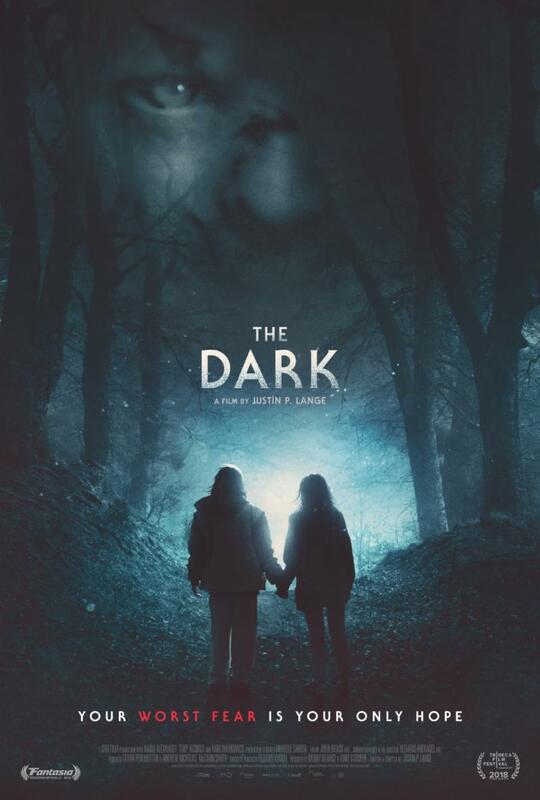 Dark Sky Films will release THE DARK in theaters and on VOD in America 26th October 2018. U.K. audiences can find out about the U.K release by clicking HERE.